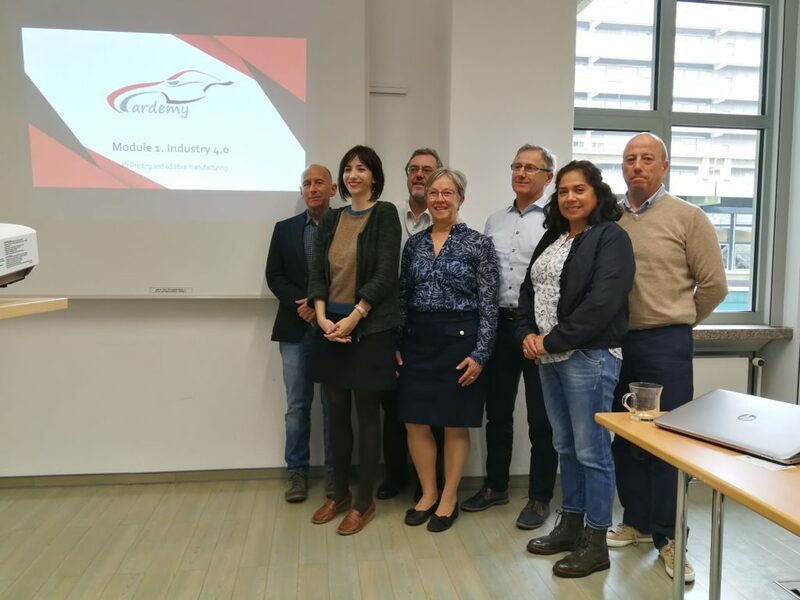 On 23 to 25 of April, partners met again, in Bochum (Germany), to prepare the last part of the project and to discover the Learning Factory, developed by the University of Bochum, in a totally new building, more than 1.300 m² of machines and tools. University of Bochum is one of the most important University in Germany, with more than 60.000 students. The staff of Learning Factory presented the concept and means by real exercises. Then a meeting all the day welcomed by INCCAS and Bochum University let partners to organise all work till the end of the project. The meeting with partners was fruitful, with first feed-backs from Beta-tests about learning units, up-grade the already done units, and decisions to optimize the project.